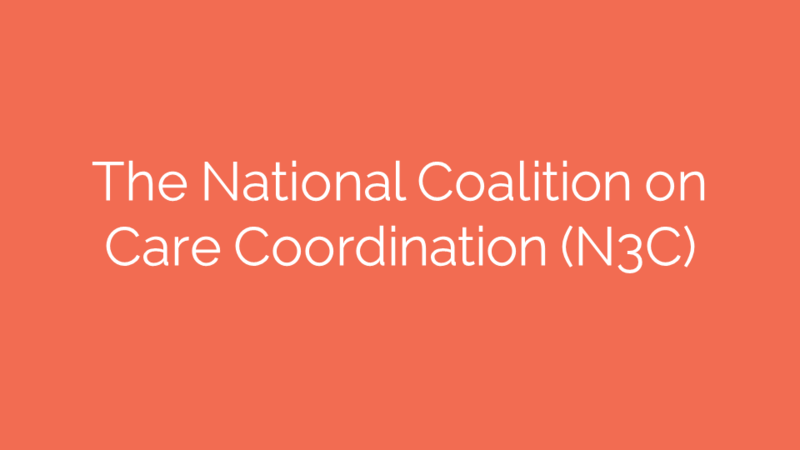 The National Coalition on Care Coordination (N3C) is a platform to identify & advocate for policies and practice that advance coordinated and integrated care. Formed in 2008, N3C is composed of individual members representing dozens of consumer, aging, social service, health care, family caregiver, and professional organizations from across the country. CHaSCI is the coordinating body for N3C. Visit N3C's website to view prior newsletters and work products. The Social Work and Health Care workgroup that CHaSCI coordinates includes social work faculty members, deans, practitioners, and government relations/policy staff, and is dedicated to elevating social work’s role within health care to ensure the health system is providing the best care possible to those who need it. The workgroup was formally convened by the Council on Social Work Education (CSWE) and is now convened by CHaSCI. To learn more, contact Bonnie Ewald.